Dinodirect.com: As an online shopping mall with its own warehouses, this site sells a wide range of products covering every field of people’s life. It is one of the biggest Chinese B2C e-commerce websites targeting global customers. Now it is promoting a selection of FIFA World Cup 2014 Brazil accessories such as soccer jerseys, training pants, sports shoes, goalkeeper gloves, footballs, souvenir cups and others. The discount rate is as high as 50% off. Buyincoins.com: This is a widely used Chinese store where you can get lots of lovely stuff with just a few coins. There you can find almost no expensive products and everything is available at a very tiny price. 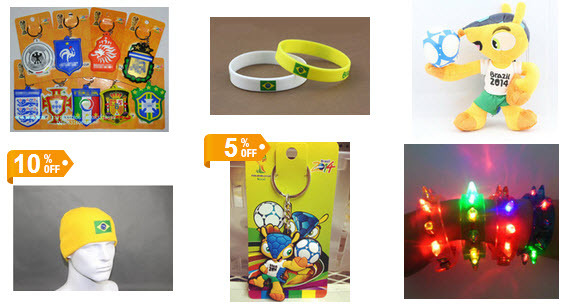 Its FIFA World Cup 2014 Brazil collection, for example, includes a vast array of products at as low as under $1. 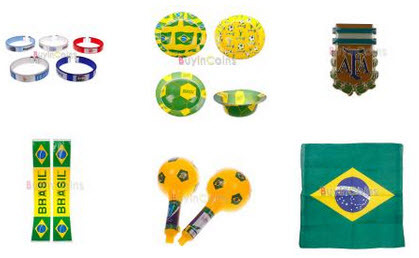 There you can find all sorts of FIFA World Cup products, from national team flags, to cheer horns, to national team scarves, to national team brooches to everything else related to the grand sports event. Free shipping is honored on every product there. 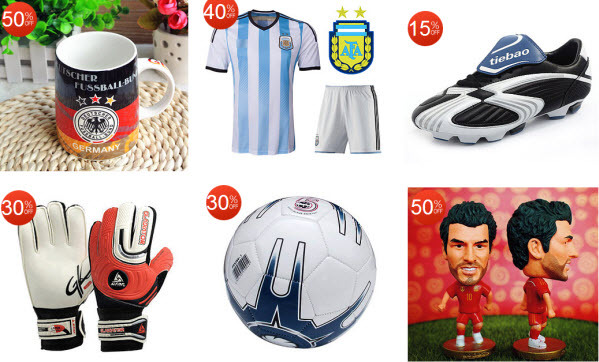 Tmart.com: The cool gadget store is currently hosting a FIFA World Cup 2014 Brazil sale with some lovely football game themed gadgets. If you are a sports fan who loves novelty products, the sale may interest you. I personally love the following on-sale FIFA World Cup deals offered by the online store very much. For more creative products, just click on the image to view the whole collection at the site. 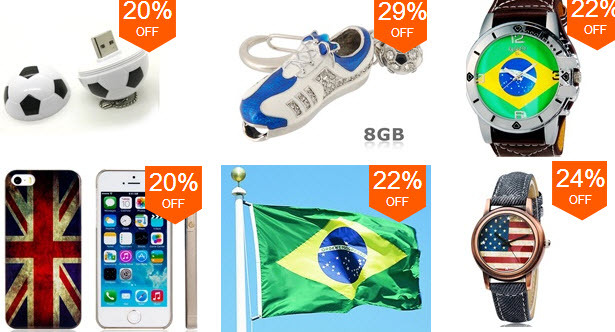 Focalprice.com: The Shenzhen-based gadget store is now offering up to 29% off on a small range of cool gadgets themed by 2014 FIFA World Cup. All on-sale products in this collection are either featured by national flags or related to footballs, sports shoes or other football game supplies. Some novelty gadgets there are good for gifting others who love football, e.g. 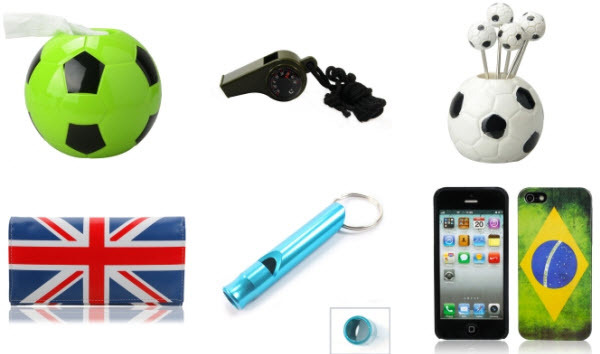 football shaped USB flash drives, football shoe USB flash drives, etc.